Our flat roof specialists are approved installers of Firestone EPDM which, in their own words “is an environmentally friendly, sustainable flat and shallow pitched roofing. You can count on the reliability of Firestone RubberCover, which has a life expectancy of over 50 years.” Development in products mean that problematic flat roofs are a thing of the past. EPDM Rubber roof options are a seamless, 1-piece Rubber sheet designed and cut for your roof. Lancashire Roofing Contractors are expertly trained and highly experienced roofing professionals. We will survey your property, measure and install an EPDM rubber seamless roof with a minimum disruption to you and your property. Our expert workmen can give your flat roof a perfect repair or can install a new flat roof to your dormer, bay, garage, extension or commercial unit roof. We will investigate your roofing requirements and will work within the budget you provide without compromising on the quality of work or materials used. 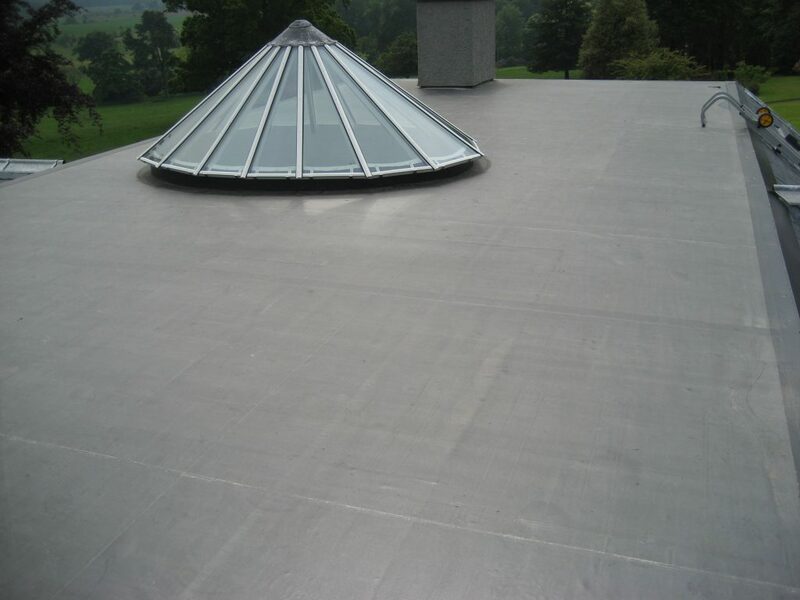 This material is lightweight and one of the easiest to install onto a flat roof. The expansion properties of the material also mean it can handle high levels of foot traffic. EPDM is expected to last up to 50 years if taken care of correctly. Fixes may include re-laying the entire roof, or part of the membrane, applying a patch or re-installing the flashing. It will depend on the issue at hand. If you think you might have a leak, call Lancashire Roofing Contractors to determine the best course of action for your EPDM roof. We have over 35 years’ experience installing and maintain EPDM Rubber Roofing Solutions and our excellent reputation stands alone, please read through our reviews should you require any proof that we really will leave you with a premium quality roof that will enhance your property for many years to come. EPDM Rubber roof Suitable for your property? EPDM is suitable for virtually all flat and low sloping roofs, whether you need to replace an old roof on your garage or are building a new extension. EPDM compares well with other quality flat roofing systems in terms of cost and, because it has a long lifespan, it will also often work out to be more cost effective in the long-term EPDM is one of the most environmentally friendly materials used today in the construction industry. With so many roofing systems to choose from it can become confusing. Our qualified surveyors will specify the perfect system for your roof from a wide range of product suppliers. EPDM repels all weather conditions. EPDM has been proven to last in excess of 50 years. EPDM is easy and quick to fit. It’s flexible and bends easily with no stress, which means a perfect fit. EPDM doesn’t tear, split or crack with age. If you would like to find out more information about our services or want to arrange a FREE NO OBLIGATION QUOTE please feel free to contact us! 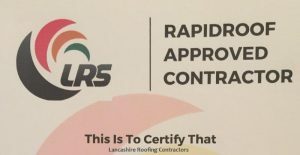 © 2019 Lancashire Roofing Contractors.